We’ve been at our premises on Roundwood Industrial Estate near Ossett for almost 2 years now. We like to think that the surrounding businesses benefit from us being here due to the increased CCTV coverage of the area from our building (we practice what we preach!) but now their health may benefit too. That’s because we have recently taken delivery of a defibrillator machine, or ‘defib’ as it’s also known. 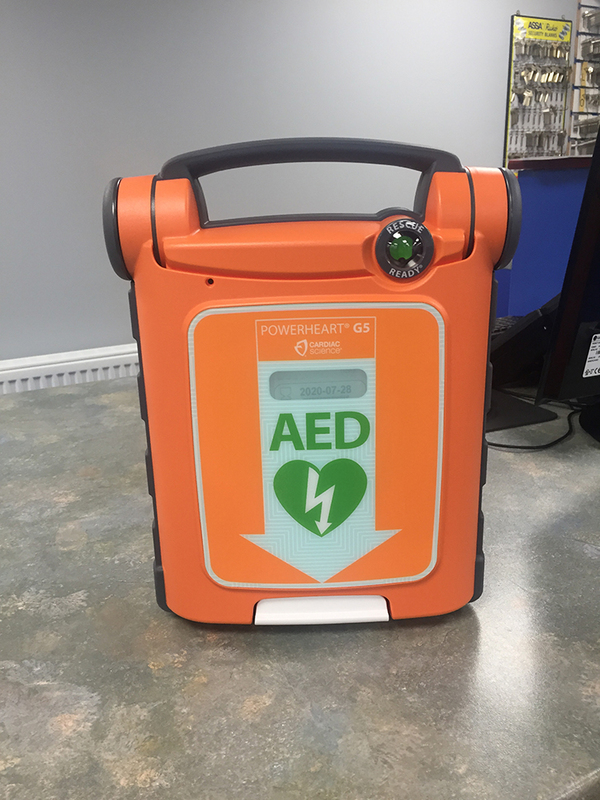 A defib can be used on someone in the event of a cardiac arrest. It gives a high energy shock to the heart and it can save that person’s life. You can read more about them here. The reason it could benefit all the organisations in this area is because we have made it available to the whole estate. The process is that should someone go into cardiac arrest, the first thing you must always do is ring 999. 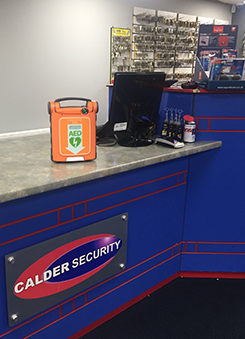 Not only will the operator send an ambulance, if we’re open they will alert us as well and we will send someone to the location with the defib machine. Obviously we would be able to get to any of our neighbouring units much sooner than an ambulance and this quick action may just be enough to keep that person alive until proper medical help gets there. We obviously hope that nobody needs to use it but if they do, it could make all the difference.